Guy Maisnik has nearly three decades of commercial real estate finance with a strong expertise in hotels. He is a partner and Vice Chair of JMBM’s Global Hospitality Group®, a senior member of JMBM's Chinese Investment Group, and a partner in the Real Estate Department. Guy advises clients on hotel transactions, representing lenders, opportunity funds, banks, special servicers, owners, REITs and developers in hotel transactions, including senior and mezzanine financing, workout and debt restructure, co-lender, participation and securitization arrangements, joint ventures, management agreements, buying, selling and ground leasing of hotels, complex mixed used resort development, fractional and timeshare. Guy's practice is both domestic and foreign, where he has advised on hotel matters all throughout the United States, Mexico, Canada, South America, Caribbean, Eastern and Western Europe, Australia, Middle East and Asia. 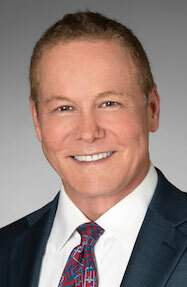 Guy also has significant experience in structuring capital raises through Chinese and EB5 investments, and structuring workable condo hotel and resort trust solutions for domestic and foreign buyers and investors.He has been recognized in California Real Estate Journal's Best Real Estate Lawyers, Los Angeles magazine's Top Southern California Lawyers, as well as a Top Real Estate Lawyer in Real Estate Southern California magazine.